Acknowledging that 100 years of AUC is worth commemorating, the Egyptian government minted AUC’s centennial coin. The coin is a celebration of AUC’s 100 years of learning, growth and service in and outside of the University walls. These coins will help raise money for student-related causes and scholarships. AUC ordered 1,000 silver coins and 20 gold coins. The Centennial Coin will be available for sale, for a bank set value. 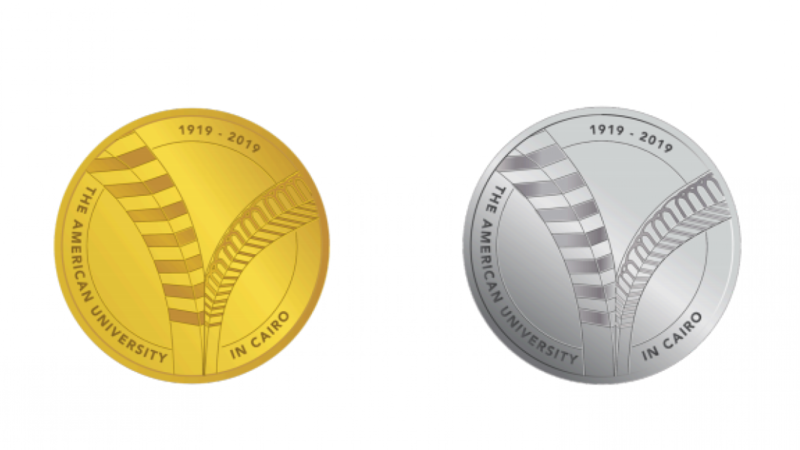 The silver coins will be available for sale at the AUC Bookstores, while some of the gold coins will be given as gifts to donors and trustees and some will be auctioned. 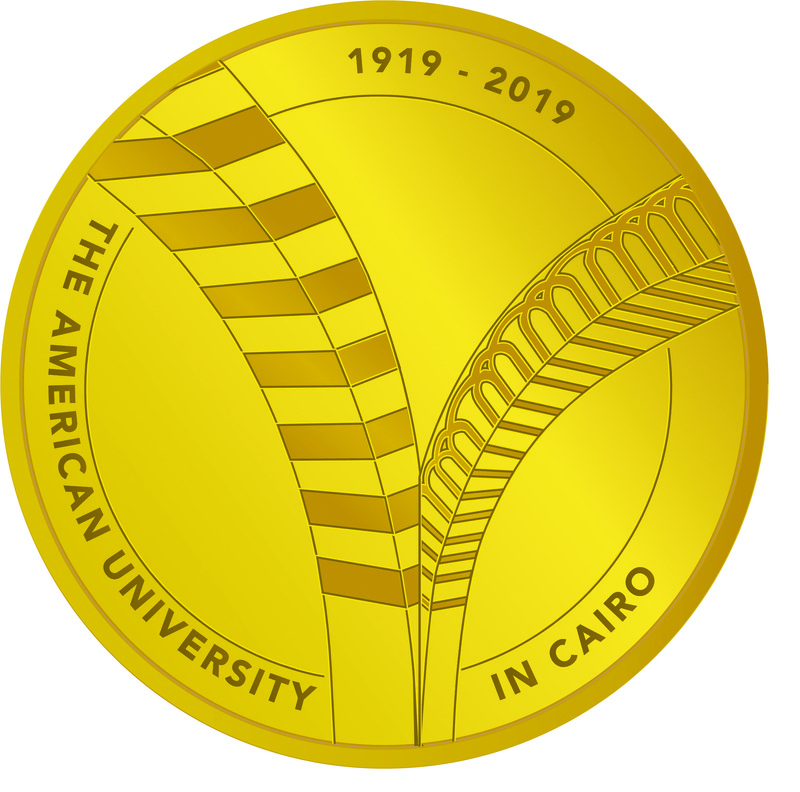 The AUC Centennial Coin was designed by five AUC graphic design students: Ahmad Khalil, Ingy Fawzy, Lana Kurdi, Mariam Ibrahim and Mariem Abutaleb. The coin design features two striped arches on one side, one slightly smaller than the other, bowing together to create an impossible bridge where they alluringly meet in the middle. The design of the coin shows the impact of University’s architecture past and present on AUCians, seeing architecture as the connecting dot between all the generations. It embodies how AUCians relate to AUC’s architecture, specifically its idiosyncratic arches and portals. The coin’s design is inspired by the campus, as it was seen by the designers as the place where everything happens. The designing team wanted everyone to understand the design to be of value for all. They picked the old and the new arches and morphed them together. They used a rendition of AUC’s classic arch to connect the old with the new. The arches connect the past to the future, and the portals take on another meaning. They become a portal to the past, where 100 years ago, people walked through the first arched portal to AUC. The package of the coin is interactive, with fold-out flaps containing information about AUC and 100 years of its events. For more information about the AUC Coin design, click here.